The expert panel will discuss issues arising under the Hague Convention and sections 22 and 23 of the CLRA in light of the SCC’s decision in OCL v. Balev v. Baggott and the OCA’s Ojeikere v. Ojeikere, as well as addressing other practice management issues around travel such as travel consent letters and how to post bonds in mobility cases. This program has been accredited for 15 minutes of Professionalism hours towards total CPD Requirements, and for a Risk Management Credit. Please click here for details and to view the flyer! 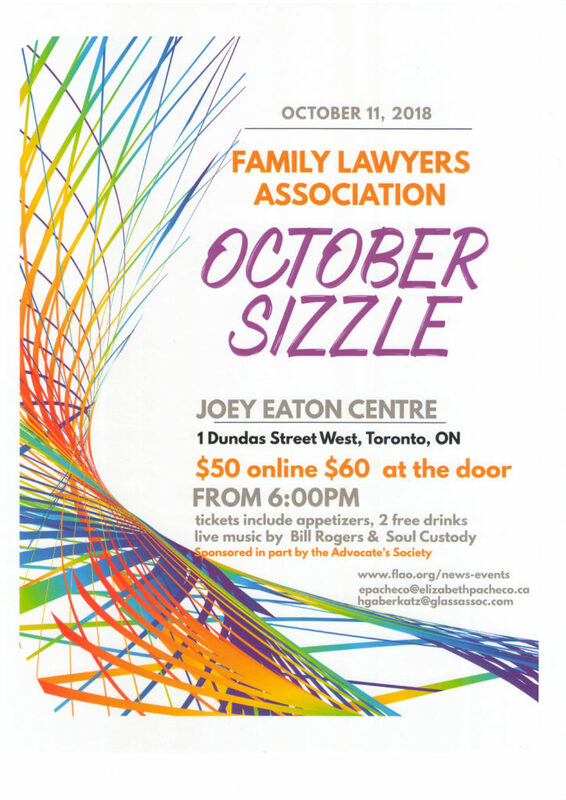 This presentation features Chair, The Honourable Justice D. Palseth (Ontario Court of Justice), and speakers, Adrian Baker (Barrister & Solicitor), Pamela Bhardwaj (Family Lawyer), and Mae-Tuin Set (Senior Counsel, Manager of Legal Services Children’s Aid Society of Toronto). This program has been accredited for 1 hour of Professionalism and 30 minutes of Substantive Hours towards total CPD Requirements.